ABASCO anchor systems keep deployed boom in place for optimum oil containment. 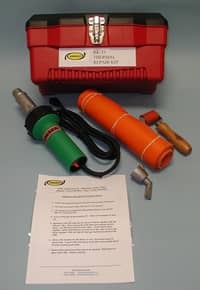 Systems include Danforth-type anchors, yellow nylon rope, chain leader, small floats, and hard-shell floats and are customized for each boom type and application. Items are also available individually. All anchors, chains, shackles, and thimble eyes are galvanized steel. 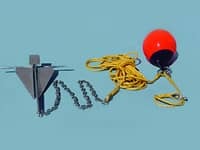 ABASCO rope and stake kits provide secure boom tie-downs on beaches or river banks. 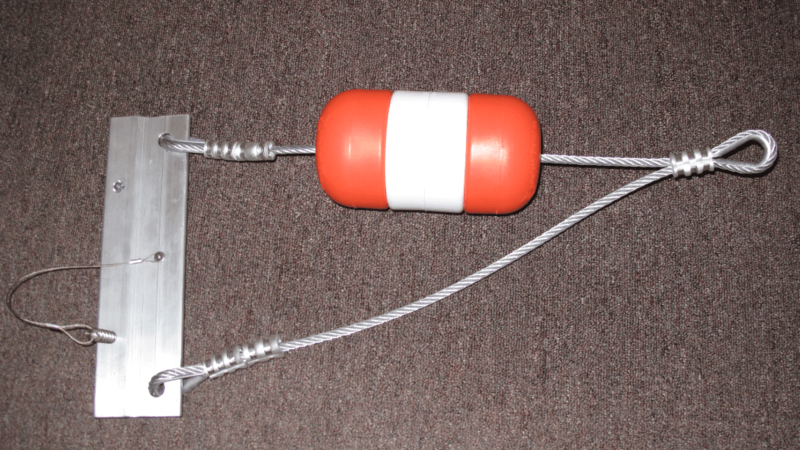 100-ft length of 3/8-inch or 1/2-inch twisted polypropylene rope has a small terminal float. Stakes are 1-inch-diameter, schedule 40, galvanized, steel pipe with a welded eye. Stakes have a high-visibility red finish. Tow bridles are used for tying down or towing long, heavy boom sections. Bridles come in four sizes, from 3 inches to 25 inches, to accommodate all ABASCO boom sizes. 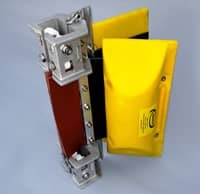 Include one aluminum connector, two thumbscrews, welded doublers top and bottom, and 5/16-inch galvanized aircraft cable. Tide risers allow the boom to rise and fall during tidal fluctuations to maintain optimum draft. Rollers glide along a beam attached to a bulkhead or other permanent structure. 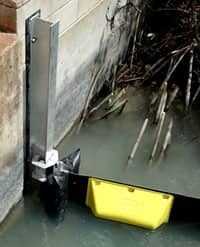 The primary application is for SIGMA permanent boom installations, but tide risers can also used with conventional soft boom. Containment boom anchored around a vessel’s hull or near a bulkhead can be damaged and torn by the constant rubbing and chafing against the steel or concrete surface. Protect your boom with the ABASCO Boom Fender which maintains the boom a safe distance away. Also, by maintaining separation, spills will be more effectively contained as spilled liquids will have more surface area to spread out. The ABASCO Boom Fender is a three-legged floating frame. Each leg is approximately 10 ft (3m) long and has rubber floats/bumpers at each end and one in the center. 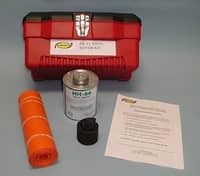 The floats/bumpers are made from tough, abrasive-resistant two-ply rubber that will withstand the chafing and pounding against a concrete or barnacle-encrusted surface. Boom Fender legs are connected with stainless steel hardware. 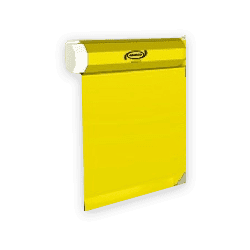 The frame is easily broken down for convenient storage and handling. Set up and deployment can be done in minutes by one man. 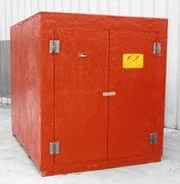 ABASCO utility boxes are sturdy, corrosion-proof fiberglass or marine-grade aluminum that will withstand the ravages of salt water spray and maintain a good appearance. 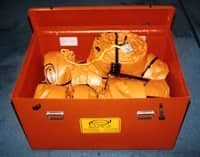 The boxes are sized to hold and protect required equipment in an accessible and approved location. Typical locations include docks, piers, yards, boats, and barges. ABASCO utility boxes are easily transported with fork lifts, motorized units, or on utility trailers or boats. 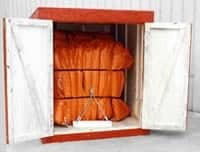 Advise size or storage requirements and a custom design box can be provided meeting the application.